The main objective of this report is to analysis Foreign Exchange Operation at Standard Chartered Bank. Other objectives of this reports are to identify existing practices of trade operation at SCB and their procedures, documentations, costs, risk and time involvements, to analyze legal and regulatory aspects of international trade procedure, payments, and deviations in operations and the role of ICC in documentary credit procedure. Finally this report make swot analysis Foreign Exchange Operation at Standard Chartered Bank. To identify existing practices of trade operation at SCB and their procedures, documentations, costs, risk and time involvements. To analyze legal and regulatory aspects of international trade procedure, payments, and deviations in operations. The role of ICC in documentary credit procedure. Mode of payment in international transactions. INCOTERMS (International Commercial terms) with defined responsibility of the parties (seller & buyer) and its implication in export-import procedure. Advantages & disadvantages of Documentary Credit. Charges and commissions against services given by SCB. 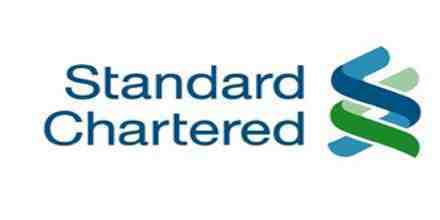 Standard Chartered Bank (“SCB”) is incorporated in England with limited liability by Royal Charter 1853, now it is one of the world’s best international banks, with operations throughout the globe. Standard Chartered Bank has a history of about 150 years. The name of the bank came from the two original banks – the “Standard Bank” of British South Africa and the “Chartered Bank” of India, Australia and China. Of the two banks, the “Chartered Bank” was established in 1853 by a Royal Charter granted by Queen Victoria of England. The key person behind the Chartered Bank was a Scot, James Wilson who has started “The Economist”, which is still one of the world’s pre-eminent publications. He visualized the advantages of financing the growing trade links with the areas in the East, where none of the other financial institutions were present at that time and therefore the Chartered Bank opened two branches in 1858 in Chennai and Mumbai. On the other hand, the “Standard Bank” was founded by another Scot, John Paterson in 1862. He immigrated to the Cape Province in South Africa and became a successful merchant there. Coming from the similar background, he also visualized the great opportunities through linking between Europe and South Africa. In the last thirty years, Standard Chartered Bank has experienced continuous growth, which led to its becoming one of the top 100 listed banks in the world. In the year 1993 and 1994 it was judged as the best bank in the Asia – Pacific region for its excellent service and growth rate as well. The bank excels in providing the most efficient, consistent and timely services through 600 offices in more than 57 countries of Asia, Africa, Middle East and European region incorporated in the UK with its Headquarter as 1 Aldermanbury Square, London. At present, it is maintaining corresponding relationship with over 600 banks in 157 countries. SCB specializes in personal, corporate, institutional and personal finance and custodial service with having a staff of about 33,000 people. SCB is well established in growth markets and aims to be the right partner for its customers. This Bank is trusted across its network for its standard of governance and its commitment to making a difference in the communities in which it operates. Standards Chartered Bank aims to be a banker of choice by understanding, meeting and consistently exceeding their customer requirements. They aim to provide security and value to their customers by offering a wide range of innovative and safe products that are benchmarked against their competitors’ best offerings. The Chartered Bank started its operation in Chittagong in 1947, soon after the creation of Pakistan. The branch was opened mainly to facilitate the post war re-establishment and expansion in this part of South Asia. . After the merger of Chartered bank with Standard bank in 1969, the bank increasingly invested in people, technology and premises as its business grew in relation to the country’s thriving economy. The bank opened its first branch in Dhaka in 1966 and shifted it’s headquarter from Chittagong to Dhaka in1972 after the birth of the Republic of Bangladesh. Grindlays Bank was one of the oldest banks operating in this country and its history of operation goes back to 1905. The long standing relationship with the clients in this country had established Grindlays Bank a trusted name in the corporate world and ranked Bangladesh as fourth in worldwide ranking. At the time of Asian Crisis in 1997, when most of the Asian banks were reeling on the edge of bankruptcy, SCB revealed to acquire the ANZ Grindlays Bank for $1.34 Billion, which was then considered as the biggest gamble that time. This acquisition has added 6000 employees and 4 countries to SCB’s existing network. Moreover, this deal has made SC the largest foreign bank in India, Pakistan and Bangladesh and second largest in UAE. Up to September 2002, both Standard chartered and Standard Chartered Grindlays operated under the same management but as separated entities. But as per contract, from January 01, 2003 both become combined and known as Standard Chartered Bank. After acquiring Grindlays, Standard Chartered Bank is a leading foreign bank in Bangladesh, which brings the revolution in banking service industry through adaptation of modern technology and process with a view to enhancing customer satisfaction. Having been established in the British colonial period, the bank has positioned itself as a unique business serving the local community with due professional and ethical fervor. It has been operating in Bangladesh for more than 100 years. To maintain its leading position in the Bangladesh; SCB is always keen to develop long-term beneficial relationship with trustworthy clients. To achieve this end, they have always upgraded their approaches to achieve profitability. It is a powerful tool to price the customers according to their standing and risk grade. But from September 2000 this approach has been replaced by value added framework Over the years, it has created the largest networks among all the foreign banks in Bangladesh with 22 branches, 3 booths and over 1500 employees in different significant places of the country and intends to expand its presence all over the country. Standard chartered Bank is operating in Bangladesh with 22 branches and 3 booths in Dhaka, Chittagong, and Sylhet. Standard Chartered bank aims to be a banker of choice by understanding, meeting and consistently exceeding their customer requirements. They aim to provide security and value to their customer by offering a wide range of innovative and safe product that are benchmarked against our competitors’ best offerings. Their motto is to be the world’s best international bank. Leading the way by providing best customer services. Buyer and Seller Contract: The buyer (consignee) and seller (shipper) negotiate a sales contract. Consignee to Issuing Bank for Credit Application: The documentary credit is typically arranged by the consignee. Here, the consignee sends a credit application to the issuing bank. Issuing Bank to Corresponding Bank about Credit Arrangements: The issuing bank sends a credit confirmation to the corresponding bank, in the form of a letter of credit. Corresponding Bank to Shipper about Credit Notification: The corresponding bank sends notifications to the shipper (seller) that credit arrangements have been made. Shipper Dispatches Goods to Carrier: The shipper (seller) dispatches the goods to the carrier. Shipper Receives Shipping Documents from Carrier: In exchange for dispatching the goods, the shipper receives various shipping documents, including the bill of lading. Shipper Presents Shipping Documents to Corresponding Bank: The shipper forwards the shipping documents to the corresponding bank. These are evidence that the goods have been shipped, and thus that the shipper has completed his performance of the contract. Corresponding Bank Makes Payment to Shipper: The corresponding bank compares the shipping documents to the letter of credit, and if correct, releases payment of the sale to the shipper. Corresponding Bank Forwards Shipping Documents to Issuing Bank: The corresponding bank forwards the shipping documents to the issuing bank. The bill of lading (etc) now represents the right to receive the goods at the point of delivery. Issuing Bank Makes Payment to Corresponding Bank: The issuing bank examines the shipping documents, and if correct, reimburses the corresponding bank for the credit plus service charges. Consignee Makes Payment to Issuing Bank: When the goods are about to arrive, the consignee (buyer) pays the issuing bank for the goods plus interest and other charges. Issuing Bank Transfers Shipping Documents to Consignee: In return, the issuing bank releases the shipping documents to the consignee. These represent the consignee’s right to receive delivery of the goods. Consignee Presents Shipping Documents to Carrier: When the goods arrive, the consignee presents the shipping documents to the carrier, as evidence to receive the goods. Under normal circumstances, Letters of Credit (LC) will be issued on the basis of facilities established for a customer. Limit in system (eBBS) and current BCA must be in place. LCs to be opened for non-corporate customers should bear the approval of the appropriate authority from respective Unit and Credit Control divisions. Any LCs which deviate from the established Business Credit Application (BCA) terms of the customer need to be referred to the Unit Head /Relationship Manager in Client Relationship, Wholesale Banking and or SME Banking under Consumer Banking, for necessary disposal. Local L/Cs should be issued as unsecured L/Cs. All L/Cs issued must be recorded in the bank’s books in the currency of the credit and at the highest possible drawing amount. Trade Policy, PPG, CPA & other group memorandum /circulars are Group Standards which are routinely issued, covering several areas of our business and must be adhered to by all units. The Foreign Exchange Regulations, Bangladesh Bank circular issued time to time, directives & guidelines issued by NBR or other Government Regulators and Government Import Policy in force and amendments thereto must also be carefully adhered to. Letters of Credit are to be issued subject to Uniform Customs and Practice for Documentary Credit (ICC Publication 600) and Uniform Rules for Bank to Bank Reimbursement (URR525) in force. As per the guidelines for Foreign Exchange Transactions of Bangladesh Bank, bank should, before opening an LC, see the documentary evidence that firm order for the goods to be imported has been placed and accepted by the importer. Bank should also obtain confidential Reports on the beneficiary through branch offices or correspondents abroad or their discretion; satisfy themselves as the standing of the beneficiary by consulting standard books of reference issued by International Credit Agencies. The service of Dun & Bradstreet is currently used for obtaining report at applicant’s cost. Credit report on beneficiary can also be obtained from the correspondents or sister offices abroad. Credit Report needs to be updated every three years. As per the guidelines for Foreign Exchange Transactions of Bangladesh Bank, before opening an LC the bank should ensure that there are no Bills of Entry outstanding over 4 months from the date of remittances. LC should be processed as per approved BCA within its limit, tenor and other condition. Request to issue LCs must be in the bank’s standard LC Application Form. There may be situations that the customer insists to provide LC instructions using their own stationery rather than our standard form. Such request should be discouraged because only our standard form has the conditions which customers are required to accept and sign, where necessary additional conditions to the LC may be submitted in client’s letter head pad or in plain paper under authorized signature and seal. Request to issue LCs may also be received electronically through the Bank’s Electronic Banking System i.e. Strait2Bank. These messages are authenticated and no manual signature is required. A declaration in the company’s letterhead pad, that the importer has paid income tax or submitted income tax return for the preceding year. A new company can declare that the requirement is not applicable or the company is enjoying tax holiday. Valid and renewed membership certificate from registered local chamber of commerce and industry or any trade association established on all Bangladesh basis, representing any special trade/business. Valid Bonded Warehouse license showing SCB as lien bank (applicable for Back to Back Letter of Credit and import under bonded warehouse facility. Government revenue stamp is affixed on the LC application. All material corrections are authenticated. Description, H.S Code (8-digit), quantity and value (including unit price of goods), terms of contract (CFR, FOB etc.) are specified. Please note IPO permits import on FOB and CFR basis only. For any other INCOTERM, Ministry of Commerce/Bangladesh Bank permission is required. Insurance must be checked for insured party, value, goods, mode of transport, shipment from and to, risk coverage and validity. Mandatory PSI instruction is incorporated, where applicable and the H.S. Code (8-digit) mentioned by applicant is checked to ensure that the intended product is subject to mandatory PSI or duty payable. Deferred payment term/period is within Bangladesh Bank guideline. LC application must clearly stipulate the charges on whose account and the type of the LC. Amortization of commission: Inform WB Business Finance when commission realized is above USD 50,000/-. Reimbursement to be effected by ourselves (as the L/C Issuing Bank) after receipt of conforming documents at our counter. Where TT reimbursement is allowed, reimbursement authorization and LC reimbursement instruction are to contain prior notice period depending on applicant’s requirement. For the purpose of achieving maximum benefits for the group network our group offices should be used as Advising banks for LCs issued by us unless applicants insists on nominating another bank . Where SCB does not control the shipment i.e. documents of title are consigned to a party other than SCB or SCB is not in possession of a full set of documents of title, it is classified as unsecured. Local LC should be issued as unsecured LCs unless otherwise approved. Transaction should reflect the nature/size of the customer’s business and the terms of trade for the industry. The maximum tenor for this product is 180 days (validity and tenor). Any exception must be documented and require separate appropriate credit approval. Trade Service will reject the BCA where the BCA is silent about control of goods. It has been confirmed with Group Credit that BCA must explicitly mention whether the goods are controlled or not. Whilst there may already be a number of such BCA’s in the system, rather than reviewing all BCA’s, it is suggested, as and when a transaction is identified, Trade staff obtain SCO’s written confirmation that the agreed condition (controlled or uncontrolled) exists for all future transactions under the BCA. If applicant requests issuance or amendment of LC, SWIFT should be used to advise the beneficiary, whenever possible. As all SWIFT messages are subject to strictly defined formats, releasers must check the SWIFT messages with special care to ensure that they conform to the required format. Any violation of the SWIFT format will result in rejection of the message when it is transmitted through the SWIFT system. All SWIFT messages advising details of the Credits must be effected only in the standard SWIFT formats. The customers who have an appropriately approved LC issuance facility. For issuance of LC on account of borrowing customers, approved terms and conditions of BCA (Business credit Approval) are to be applied. The procedures in holding of margins are simpler compared to lien. Margins are usually non-interest bearing whereas, deposits are interest bearing. Where LCs are issued subject to margins being taken, these must be credited to File Type “45” in the customer’s name. Such margins/liened deposits must only be utilized in part or in full payment of the relative bills drawn under the LC issued. It is the responsibility of the Credit Operations team to ensure that the lien has been effected. Trade team need to take confirmation of lien from Credit operations team prior to process any transaction in such case. Margin must be kept in equivalent local currency (BDT) as per local Exchange Control regulation unless otherwise as per BCA. Additional margin is retained to cover up exchange fluctuations. Funds held in the margin account or under lien may be released to the customer 14 days after expiry of the Letter of Credit (in case of normal /cash L/C) and 30 days after expiry of the Letter of Credit (in case of Back-to-Back L/C) and 7 days (in case of local L/C), ensuring that no drawings have taken place. Such release should be authorized by the Sr. Manager, Trade Services, or his delegated manager. The only exception would be when the LC could not be canceled even after expiry for specific reasons such as discrepant documents at our disposal, pending approval from the applicant. To avoid further delays, we may repeat the full contents to the Advising Bank, through SWIFT or mail, as applicable originally. In all cases, this must contain wordings that the repeated document/message is issued in lieu of the original reported lost or similar wordings to this effect with a Possible Duplicate Message indication. Commission and charges should be realized as per approved schedule of charges and they are to be posted in appropriate GL accounts. Exceptions are allowed for specific clients as per approved waiver list. LC should not be processed which is subject to a condition precedent that must be satisfied and communicated by an amendment before the credit becomes operative. Where, the amendment calls for reduction in the LC value and unit price. In such cases, the customer’s liability must be reduced only on acceptance of the amendment by the beneficiary. Where the amendment calls for cancellation of the LC. Where the customer insists that the beneficiary must give explicit consent and requires confirmation by the Advising bank. Margin amounts relating to unutilized portion of expired LCs are referred to Manager, Trade Services / Delegated Team Manager before reversing the same to the credit of Applicant’s account. If for specific reason(s) like DO / Shipping Guarantee is issued, shipment advice is received, reimbursement is claimed, but documents are not received etc., the liability can not be reversed, CSC will initiate necessary follow up with all concerned to arrange submission of documents to facilitate reversal of the LC liability as being utilized. Each month, all outstanding LCs must be reconciled. Also, physical verification of all LCs must be carried out at least once in a year. Contra accounts (group & non group) must be balanced at each month end to comply with Group Accounting Policy. Customer’s request for cancellation of Letter of Credit before expiry date must be given to us in writing. Customer / Applicant’s signature must be verified. Obtain and confirm to us beneficiary’s consent. Confirm to us that the original Letter of Credit has been returned to them for cancellation. Upon receipt of authenticated confirmation from the Advising Bank that the beneficiary has accepted cancellation of the Letter of Credit and that the original LC has been returned to them for cancellation, we should reverse customer’s liability entry. Quasi Back-to-Back Letters of Credit are opened for Ready Made Garments (RMG) / Export Oriented industries, as allowed and specialized textiles; as well as some other export oriented industries, under bonded warehouse facility. Import Letters of Credit are opened on the basis of export Letter of Credit up to a maximum amount of net FOB value of the Master export LC allowed in the Import Policy / Exchange Control Regulations of the country. Under the Quasi Back-to-Back credit concept, the applicant of the Import LC (Slave LC) is the beneficiary of the export LC (Master LC). Applicant offers the Export LC as a security to the bank for issuance of the Import LC for raw/packing materials. As the applicant for the slave credit, the exporter is responsible for reimbursing the bank for payment made under it on due date regardless of whether or not he himself is paid under the master export credit. Normally the import payment is made from the export proceeds but in any case if the export proceeds are not received applicant is allowed to purchase foreign currency to meet import liability on due date with post fact reporting to central bank and NBR OR Bank may payoff the import liability from the single pool account of exporter approved by Bangladesh Bank in order to settle Back-to-Back import liability. Master export LC should not have any ambiguous or restrictive clause. Master Export LC must be held under lien by the bank while opening Back-to-Back LC. The master LC should be stamped “under lien to Standard Chartered Bank” and should be kept in a secure place. No amendment to master LC is acceptable, if it is not acceptable to the lien bank. MOB accounts of respective clients must be reconciled and proof of reconciliation must be systematically filed. Open insurance cover note is applicable for opening Quasi Back-to-Back L/C as per government regulation. Bangladesh Bank’s Guidelines for Foreign Exchange Transactions (volume-1) Section 111 of Chapter 16 and Circular issued by Bangladesh Bank time to time must be followed while handling quasi Back-to-Back L/C. In view of specific nature of the LCs that contradicts with SCB Group Policy, we have obtained dispensation from the group categorizing such LCs as Quasi Back To Back LC. Claused Back-to-Back Letters of Credit are opened as per approved Product Program for this type of LC. Claused Back-to-Back LC is similar to Quasi Back-to-Back LC except that there is no commitment of payment until receipt of the export proceeds under the Master export LC. To open Claused Back-to-Back letter of Credit, terms and condition of approved Claused Letter of Credit Product Program and Bangladesh Bank’s approved conditions and regulations in this regard must be followed. Unless states in the BCA we will not require a discrepant document line for the beneficiary. Any confirmed LC or CBN will require Bank & Country limit as per approved PPG. Each transaction is to be checked to ensure that they comply with ‘Trade Operations Procedures for Transactions Involving Iran, Suspension of New Business Involving Iran, July 2007, Version 5’ as amended from time to time. It is the policy of the group that we will not handle such transactions unless the transactions are authorized by the Sanctions regulations or is permitted by a license issued by the US Office of Foreign Assets Control (OFAC). Checks as per Decision Tree embedded in the Policy are to be made to ascertain whether an Export to, or export from Iran is a transaction that can be progressed. For determination of US and US persons and Iran and the Iranian government “information Outside Documents”, “Assumptions”, “Escalation & Documentation” and “Product Specific Checks”, there are to be guided by the Trade Operations Procedures for Transactions Involving Iran in force. Transactions involving Sudan must be checked in terms of US Sanction against Sudan Policy and must be escalated to Head of Trade Services for necessary determination. Similarly transaction involving Syria needs to be referred to Head of Trade Services. UK sanction: In line with EC Regulation 1081/2000 there is a UK freeze on funds of (listed) individuals connected with government and other authorities in Burma. There is also a ban on the financing of certain Burmese state owned entities. Goods from or originating from or goods in flag vessels of Israel is not importable. Detailed Check List is amended from time to time, that includes among others, check on specific country, transaction threshold, and structured transactions etc. are to be ensured. Attached is AML checklist which forms an integral part of this DOI. AML checklist is amended from time to time to ensure that it includes document threshold for IMB/ Sea searcher check and item specific check, i.e. import of vessel/ tanker value for scrapping more than or equal to USD100,000. SRL/OCF data base is to be checked to confirm among others that no SDN/sanctioned entity is involved in the transaction. LC issuance checklist must be appropriately marked and attached with the LC opening documents. Any positive match is to be escalated to Sr. Manager and/or HOTS for approval/rejection or further escalation. Any transaction related to the above countries, as updated from time to time, must be escalated to the Manager for necessary determination or escalation. The current list includes Myanmar (Burma), Nigeria, Nauru. SWIFT message blocked in Alchemist has to be reviewed and escalated for advice for disposal by acceptance or rejection. Before opening a letter of credit, the buyer should come to an agreement with the seller on all aspects of quantity and quality of goods to be sent, schedules of shipment, payment procedures, and documents to be supplied. As with the seller, it is very important for the buyer to be fully aware of all terms and conditions that need to be fulfilled before the application for the letter of credit is made. When dealing with letters of credit, the buyer should take into consideration the standard payment methods in the country of the seller. When setting the dates in the letter of credit, the buyer should define a tight but reasonable shipping schedule. If dates are improperly set, this will lead to amendments to the letter of credit leading to additional costs, or simply to non-shipment. The buyer should be prepared to amend or renegotiate terms of the letter of credit with the seller. Amendments are a common procedure in international trade. In order to eliminate foreign exchange risk, the buyer may cover himself by using the futures/forward markets. The letter of credit validity should give the seller enough time to produce and ship the goods. With the expiry date and the latest shipping date, the buyer should give the seller ample time to present documents to the bank. For instance, several countries, particularly those in the Middle East, require that documents be “legalized”. This requires that some of the documents be sent to the destination country’s consulate, in the country of origin, for a stamp before presentation. This is a routine procedure, but it adds a few days or more to the time needed for presentation. As a general rule, the commercial contract should clearly specify the party responsible for appointing the confirming bank and the party who will pay for the confirmation. Therefore, the buyer should agree in advance that the confirming bank may be chosen by the seller. Most commonly, it is the buyer who bears the cost of confirmation. However, if the buyer is a small company, it is reasonable for the seller to bear the security of confirmation and its costs. This can be stated in the letter of credit. The need for Shipping Guarantee (SG) arises typically due to inefficiency in the documentary credit. Where the seller documents (including full set of original bills of lading) are routed through the banking channel under a letter of credit, they may still be in transit when the carrying vessel reaches the port of discharge. The problem is particularly acute for short –haul shipments especially with the growth in intra-region for the issuance of Shipping Guarantee. The SG is signed by the consignee and countersigned by a bank, which indemnifies the carrier for release of cargo without presenting of the original Bill of Lading (B/L). On received of invoices, B/L, and other shipping documents, the consignee will pa for or accept the documents; redeem the SG by surrendering an original B/L to the carrier. The original SG is then returned to the bank for cancellation. Return of SG for cancellation of SG record. LATR is a type of service given by SCB to customer/Importers that facilitates the customer to have loan for a short tenor like 90 days, 120 days or 150 days against the documents. LATR is allowed only in case of raw materials importing. The interest rate charged on LATR that is mentioned in the Banking Facility Letter (BFL) and Business Credit Approval (BCA). This type of loan is available to customers in case of capital machinery import; the terms, objective, tenor, interest rate which are also mentioned in the BCA & BFL. The objective of the government is to encourage exports to the extent possible so as to earn valuable foreign exchange for the country. All efforts have to be made to boost up exports of the country. Therefore, export control is exercised over far less a number of items as compared to import control. The control is mainly on such items which are essentially needed in the country whose indiscriminate exports may affect the domestic economy. Any firms/parties desirous of undertaking export trade are required to obtain Export Registration Certificate (ERC) from the offices of the Chief Controller of Imports and Exports (C.C.I. & E.), Government of Bangladesh. No person is allowed to export any goods from Bangladesh to any other country without obtaining such a certificate. Nationality Certificate from the Local Authority. Trade License from Municipal Authority. Registered Partnership deed in case of partnership concern, Memorandum & Articles of Association and Certificate of Incorporation in case of Limited Company. Copy of rent receipt of the business premises. Payment made first after the shipment, i.e. the exporter collect the value of the goods from the importer before the shipment. It is based through the agreement between the buyer & seller. In that case no risk arrange to the exporter as differed payment. When sale is agreed, a contract between buyer and seller is executed specifying the detail terms about the sale, such as full descriptions and quantity of merchandise, value of commodity quoting its FOB, CFR, CIF, etc. With provision for payment at sight, usance terms, whether inspection before shipment is necessary. The terms and conditions of L/C are definite, clear and explicit and also in conformity with those of the contract. The L/C should be an irrevocable one and be confirmed by the advising bank. If the import of goods is under control in buyer’s country, the buyer holds a valid import license. If the L/C is transferable or otherwise, it should be clearly mentioned in the L/C. The L/C should provide sufficient time for shipment and a reasonable time for shipment and a reasonable time for negotiation. If nothing is mentioned, the shipper would be allowed 21 days to negotiate the documents. If any of the terms of the L/C appears to be vague ambiguous or too difficult for the banker to ensure compliance, the banker should immediately refer to the concerned correspondent by letter or cable and get the vagueness removed before advising the L/C to the beneficiary (exporter). On conclusion of the contract securing the sales order, the exporter should set him earnestly to the task of delivering the goods on time. Failure to maintain the delivery schedule will expose the exporter to claim from the buyers for damages on account of non‑shipment or late shipment, and in addition the exporter may also lose the patronage of the buyer for future export orders. On dispatch of the goods to the docks, C&F agent should be given clear instructions to effect shipment as per schedule and arrange to make necessary payments towards port charges. To observe the customs formalities, the following documents should be sent to C&F agent by the exporter. Any other documents relevant to the specific cargo, such as, GSP* certificate or Export permit. All exports must be declared on EXP Form. These forms will be supplied by the Authorized Dealers for use of the exporter. The Authorized Dealers should, before certifying any export form. Ensure that exporter is registered with the CCI&E under the Registration (Importers and Exporters) Order 1952. EXP form is not necessary in terms of invisible product. That time goods are exported by “C” form. To export of goods from Bangladesh to foreign countries by land route or by sea, all carriers whether common or private (Airway, Shipping) and their agents will ensure that the Airway Receipts, Bills of Lading and any other documents of title to cargo are drawn only to the order of an Authorized Dealer designated for this purpose by the respective exporters and delivered to the authorized representatives of the Authorized Dealers concerned and to none else. The Authorized Dealers to whose order the relative Truck Receipts, Bills of Lading etc. are drawn shall endorse the same to the order of their foreign correspondents but in no case they shall make any blank endorsement or endorse it to the order of the consignee unless they have obtained specific or general approval of the Bangladesh Bank therefore. The exporter should be very careful in the preparation of export documents, otherwise he will face difficulty in the negotiation of export documents and collection of export proceeds from the buyer. A commercial invoice is a statement prepared by the shipper containing full details of the goods shipped. It gives description and price of the merchandise, quantity, quality, packing details, origin of goods and marks. Names and addresses of the seller and buyer, L/C and contract Nos. terms of trade‑FOB. CFR or CIF etc., details of freight charges, insurance premium and other charges, names of vessels, date of shipment, number of bills of lading etc. It is an invoice signed by a consul, or some other member of the consular service of the importing country. The main purpose of a consular invoice is to enable the authorities of the importing countries to collect accurate information about the volume, value, quality, grade, source, etc. of their imports for assessing import duties and also for statistical purposes. The invoice is made out in the name of the foreign buyer and signed by the exporter. It bears the reference of the L/C or the export order and contains a full description, quantity, number of packing units, shipping marks, etc of the goods shipped. The full description of merchandise must be given in the invoice strictly as per L/C or export order. The amount of draft and invoice must be same and within the L/C value. Required number of invoices as per L/C plus two copies duly signed by the beneficiary should be submitted. A, packing list prepared by the exporter serves to indicate the exact nature, quantity, and quality of the contents of each package in a shipment. The list helps the importer to identify the goods and check it according to his order. Banks may require such a list when they have financial interest in the merchandise. It is a document certifying the country of origin of the goods. In many countries, permission to import is refused unless a certificate of origin is produced by the buyer. This document may form a part of the invoice itself. The essential feature is a certification of the country of origin indicating where the goods were originally produced and/or manufactured. The document evidencing the carriage of goods by sea is the Bill of Lading. Bill of Lading is the most important of the documents in connection with export of goods and negotiation of documents. It is a document of title to the goods issued by the shipping company or its agent, acknowledging the receipt of goods for carriage up to destination which are deliverable to the consignee or his agent in the same condition as they are received. The road waybill (road consignment note) or rail waybill (rail consignment note)serves as a receipt for goods and an evidence of the contract of carriage, but it is not a document of title to the goods. The consignee can obtain the goods from the carrier at the destination point without presentation of the road waybill or the rail waybill, as the case may be. The road waybill or rail waybill must be signed or authenticated and/or bear a reception stamp or other indication of receipt by the carrier or the named agent for or on behalf of the carrier. The signature, authentication, reception stamp, or other indication of receipt by the carrier must be identified on the face of waybill as that of the carrier, and in the case of agent signing or authenticating, the name and capacity of the carrier on whose behalf such agent signs or authenticates must be indicated. The document evidencing the contract of carriage of goods by air is known as the “Airway Bill or Air Consignment Note”. Air‑way bills or Air Consignment Notes are issued by airlines or their agents as a receipt of consignment as carriers. The beneficiary’s certificate, sometimes referred to as the certificate of assurance, is a certification issued by the beneficiary of the letter of credit (L/C) showing, unless wording is specified in the L/C, the summary of a consignment and declaring (i.e., assuring the consignee) that the shipment in question conforms to the specifications in the sales contract. The exporter can issue a beneficiary’s certificate using company letterhead. The weight certificate—weight list or weigher’s certificate—is most often used in the export goods sold on weight basis. It is issued by the official weigher on the dock or the independent certified weigher. In case of transport other than by sea and unless the letter of credit (L/C) specifically stipulates that the certification of weight must be by means of a separate document, a weight stamp or declaration of weight that is superimposed on the transport document by the carrier or his agent is acceptable. The prefix ‘phyto‘ means plant. The phytosanitary certificate—plant health certificate—is issued by the government agricultural department or certified inspector for such agricultural products as seeds, fruits, vegetables, rice, wheat, soybean, corn, and milled materials (e.g. flour and soybean meal), certifying that the goods are free from harmful pests and diseases. The veterinary certificate—animal health certificate—is issued by the certified veterinarian for livestock (e.g. cows, goats, horses, and pigs), poultry (e.g. chickens, ducks and turkeys), and domestic animals (e.g. dogs and cats), certifying that they are free from diseases. The sanitary certificate is issued by the government health department or certified inspector for processed food products, certifying that they are free from diseases or contamination. In some countries, the term sanitary certificate may refer to or be used interchangeably with the term health certificate. The fumigation certificate is issued by a specialized treatment plant or firm for agricultural and forestry products, certifying that the goods have been treated with smoke or fumes. The purpose of fumigation is to kill insects or disinfect. For example, wood may be fumigated with methyl bromide. In some countries, a fumigation certificate may be required to obtain a phytosanitary certificate for the forestry products. The analysis certificate is required by certain importing countries and/or importers for tariff or other purposes, usually issued as proof of product composition or contents. It is obtained from an independent testing laboratory. Importers may specify a testing laboratory in the letter of credit (L/C). Soon after the shipment the exporter should make arrangement for early submission of the documents to the bank, correctly prepared in conformity with the terms of the credit for negotiation. The exporter should remain in constant touch with the negotiating bank for early negotiation of export bills. Since Bangladesh is highly dependent on import, thereby the contribution of Trade Services,SCB is substantial in our country’s economy. Documentary credit is the most popular and widely used payment method for export – import transactions in Bangladesh. In recent times, trend of the use of documentary collection is increasing both in export and import payment transactions. Absence or insignificant cases of the use of cash in advance and open account might be attributed to the regulatory requirement of the country, relative bargaining power, reputation of the country’s traders, and mutual trust and relationship of the domestic traders with the counterparts. The financial risk of other methods of payment (open account and advance payment) is also high and required instant solvency of the importers. However, the beneficiary of an irrevocable documentary credit enjoys maximum protection against commercial risk since it is assured that buyer’s bank (issuing bank) will pay it even the buyer defaults or is unable to meet its payment obligation. Moreover, if the credit is confirmed by bank in the seller’s country, the seller also obtains protection against transfer risks as the confirming bank is obliged to pay even if the buyer’s bank is unable to transfer funds out of the country. However, documentary letter of credit is the most expensive than that of other methods of payment. The classical explanation claims that letter of credit provides an effective assurance of payment from a financially responsible third party; whereas, sellers do not have right and banks do not have obligation to make payment if sellers do not submit documents that conform to the L/C. It has been observed that the proportions of the discrepant cases are very high and it costs the seller if the buyers do not waive the discrepancies. All letters of credit issued and received in Bangladesh are irrevocable in nature, as the regulation of Bangladesh does not allow opening or receiving revocable credit. In the import transaction through L/C, Back-to Back are widely in use for importing raw materials in Bangladesh for meeting export requirements of garment’s sector. However, an insignificant number of L/C issued from Bangladesh require add confirmation of foreign banks. In export trade, a considerable number of L/C received by the country’s exporters is transferable.In most cases the L/C issued from SCB and received are freely negotiable and payments on sight basis. There is no significant difference in the documentary requirements of exports and import L/Cs. SCB charges commissions and other charges under documentary credit and collection at different stages (L/C opening, L/C amendment, documents requirement, shipping guarantee, delivery order, bill discounting, SWIFT, telex, Fax charges and so on) and on customer base (wholesale customer, local L/C customer, foreign L/C customer, priority customer etc.). The observations indicate the deviations of some practices that arise between SCB and customers due to lack of knowledge of customers regarding ICC publications or in response to some different practices of counter parties. Thereby, the importers- exporters should have to follow the guidelines of ICC publications (UCP 500, UCP 600, INCOTERMS). Furthermore, the personnel of SCB can be more prone to guide the customers about export –import procedure. However, with the increasing popularity and use of documentary collection, greater emphasis should be given to familiarize the bankers with different aspects of documentary credit collection methods. After evaluating the whole company thoroughly and by considering the overall industry and competitors I would like to conclude that SCB has been successfully created a brand image in the market and is maintaining a strong position in the market. But still it has some weakness, which can be easily overcome. These weaknesses can be easily overcome by reducing the gap between service expected and service provided.